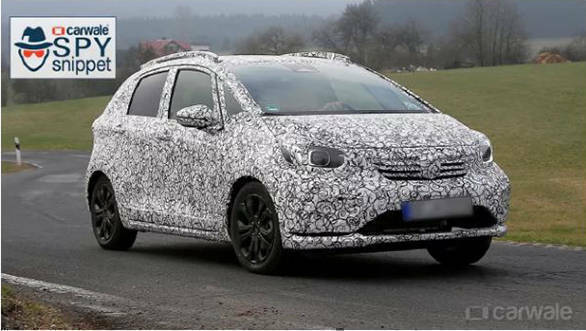 A test mule of the third generation Honda Jazz was spotted in Germany. 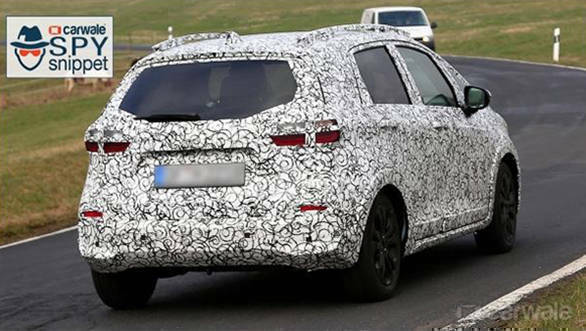 The hatchback was heavily camouflaged, however, the spy images give a sneak peek of the styling bits that the new hatchback would carry. The new Jazz is expected to hit our market soon as it could be a part of Honda's plans to launch six cars in the India market by 2020. The new Jazz is expected to be based on an all-new platform which can house both Internal combustion (petrol and diesel) engines and a hybrid or a fully electric drivetrain. This can serve well in the international markets as well as domestic whilst giving the manufacturer an opportunity to price the B-segment hatchback very aggressively. The cosmetic changes include a new fascia. 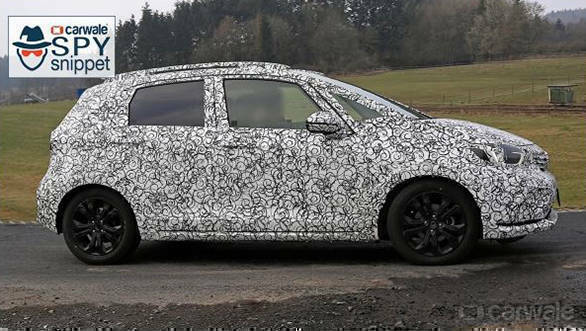 Although the car was camouflaged, the projector headlamp unit was visible hinting at more premium features to be added in the upcoming Honda Jazz. The side profile showcases the length of the car, which, we believe has increased - courtesy longer wheelbase and chunky bumpers. It is very unlikely that Honda India will offer any other engines other than the 1.2-litre Petrol engine and a 1.5-litre diesel engine, though the engine will be reworked to meet the BSVI emission norms. The new hatch will be offered with a choice of an automatic transmission as well. The same treatment is expected for the Honda WR-V as it is a Honda Jazz based crossover and its launch will follow soon after the 2020 Honda Jazz. The mechanical and the cosmetic changes are expected to hike the price by Rs 50,000 on ex-showroom cost, which is currently between Rs 7.39 lakh and Rs 9.33 lakh.